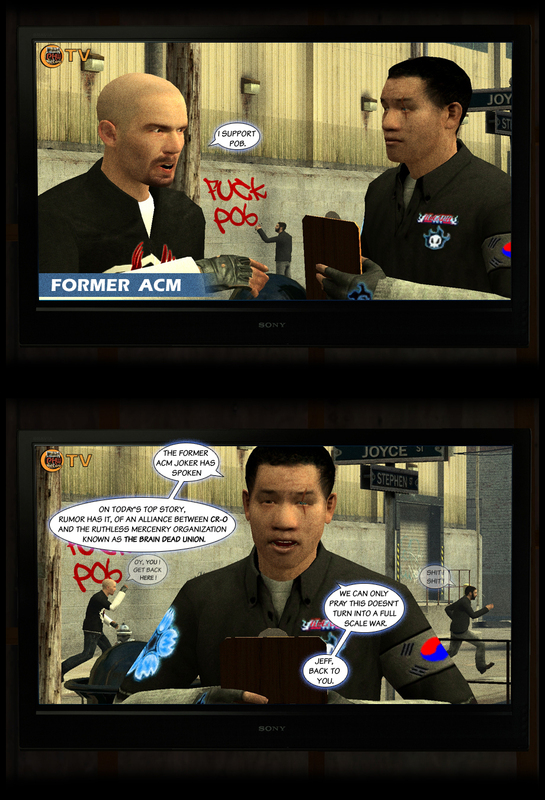 The PoB/CR-O War, also referred to as “CR-O Vs PoB”, was a Garry’s Mod comics crossover event that occurred during March of 2008 in the now-defunct PHWOnline message boards. Sparked by community member Looshkin, the event consisted of a fictional conflict between his comics production group, Cheap Rip-Off (CR-O), and the group Phenomena on Break (PoB), led by Mike Dolor, a.k.a. GrowingDelirium or Delirium for short, and Mythos. Nearly all characters in the story were “perskins” (personal skins) of PHWOnline members at the time, with 13 different creators contributing to the story for a total of 40 released parts. 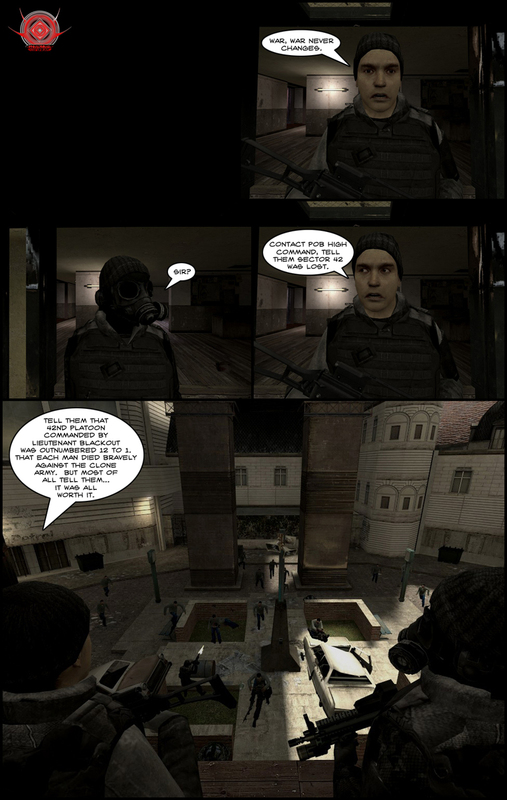 A nonlinear narrative plagued by continuity issues, convoluted plot twists and subplots not followed through, the event is nonetheless a memorable part of the late Golden Age of GMod comics and the last great crossover event of the sort. Unfortunately, the event was never concluded with only its final part, created by Looshkin, being left unreleased for good. The PoB/CR-O War was instigated by Looshkin’s You Have Failed, Please Die comics starring his original creation Jim, whose personal attacks to Phenomena on Break member Nemi lead to an intervention by the team. 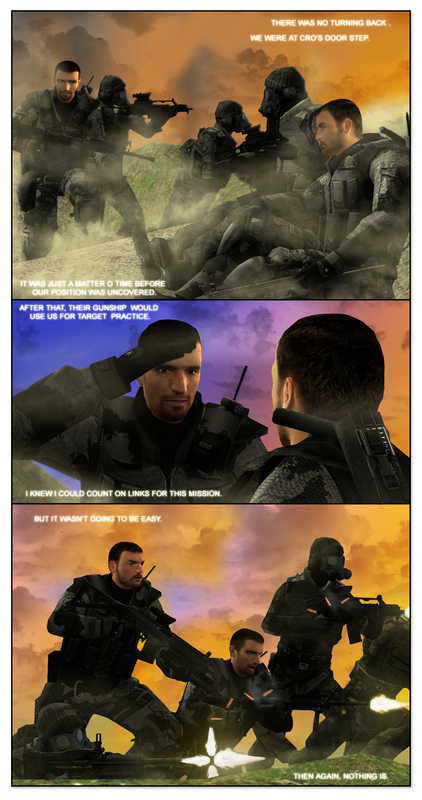 Bear in mind, the events in these comics are not always in chronological order. It will get confusing. Click a banner and the respective image file will open in a new tab. Two of your comics are in there! Agreed, but what can ya do? That said, he did tell me bits about the finale and it wasn’t a massive twist or anything, just the expected big battle and a final (apparent) sacrifice by one of the major characters. I still won’t spoil who, though.